In the lab, we work hard to design experiments that help us understand the natural world. But sometimes, nature sets up experiments for us, and all we have to do is collect the data. These are called "natural experiments", and they have led to profound insights in every field of science. For example, Alzheimer's disease is not usually considered a genetic disorder. However, researchers have identified rare cases in which AD is inherited in a simple genetic manner. By identifying the genes involved, and what they do, we were able to increase our understanding of the molecular mechanisms of the disease. The natural experiment I'll be discussing today began in 1989 with the onset of a major economic crisis in Cuba. This coincided with the loss of the Soviet Union as a trading partner, resulting in a massive economic collapse over the next six years, which gradually recovered through 2000. Unlike most industrialized nations, Cuba keeps systematic health records of its citizens, including the incidence of major diseases and deaths. It has also performed surveys of body weight and height in several areas and at multiple timepoints. This allows unbiased tracking of these factors over time in the population. The percentage of dietary fat in the energy intake decreased, while the contribution of carbohydrates (polished rice and refined cereals) increased from 64% in 1990 to 79.4% in 1993. Availability of essential dietary amino acids and fatty acids declined as a consequence of a reduced availability of animal protein and edible oils and fat. Sugar cane, a traditional source of energy in the Cuban diet, rose to 28% of total energy intake, almost three times that of the fat contribution. In addition, a shortage of gasoline meant that people began walking and riding bicycles more, such that total physical activity increased ( 1, 2). OK, so we have 10 million people who are eating about one-quarter fewer calories overall, and exercising more, but the diet is heavily focused on refined carbohydrate and sugar (and monotonous). Plus we have body weight and health statistics. This is a great opportunity to see which factor is more important for obesity and chronic disease at the population level: refined carbohydrate/sugar, or calorie intake and exercise. Make your guess! There are at least two different data sets, and they show similar but not identical trends-- I'll try to synthesize them ( 1, 2). During the economic crisis, the prevalence of obesity declined by about half, and overweight declined or stayed the same depending on which data you believe. As calorie intake went back up during the economic recovery, obesity rebounded. The prevalence of underweight increased, suggesting that a small fraction of people weren't getting enough calories to maintain weight. Total mortality, diabetes, and coronary heart disease rates declined during the crisis. We're fortunate that something good came of the hard times in Cuba-- a natural experiment demonstrating the effects of a major nationwide change in diet and exercise. Taken together, the data suggest that energy intake and physical activity are dominant factors in obesity, and major factors in the diseases of affluence, trumping the influence of refined carbohydrate and sugar at the population level. The overconsumption of energy from food is at the core of obesity and strongly contributes to cardiometabolic disease. Some of the harmful consequences of eating refined carbohydrate and sugar do not materialize when there is no calorie excess. This natural experiment is consistent with a large body of evidence from controlled feeding trials in humans and animals. That being said, refined carbohydrate and sugar are generally not healthy, and they do promote obesity and derail fat loss efforts. Say what? Although refined carbohydrate is secondary to energy intake when it comes to obesity, at any given level of energy intake, unrefined carbohydrate is generally superior to refined carbohydrate for overall health*. Also, foods made with refined carbohydrate and sugar promote overeating**, so they contribute to the energy excess that drives obesity and chronic disease. * Modest quantities of certain refined carbohydrates like white rice are probably fine in the context of a nutritious varied diet, but there are better foods to place at the center of the diet. ** Due to their high energy density, lack of fiber, and higher palatability and reward value. 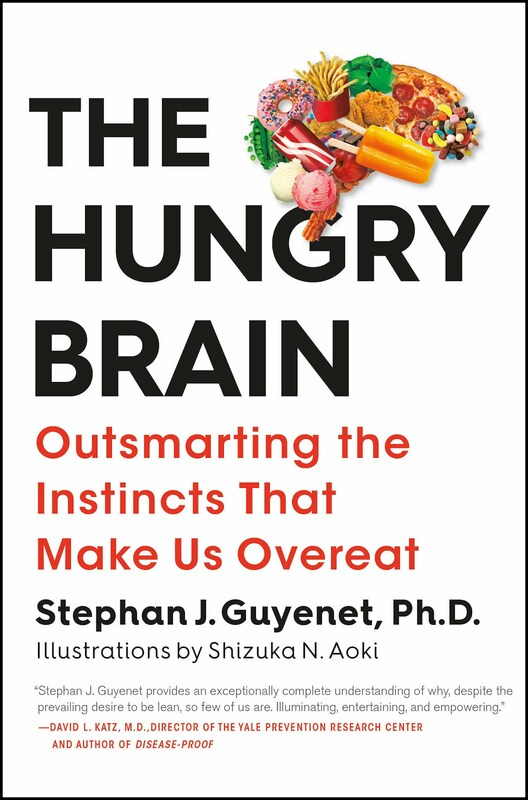 The high palatability/reward value is partially due to the fact that refined carbohydrates are an ideal "blank slate" for creating energy-dense hyperpalatable foods like brownies, corn chips, cookies, deep-fried foods, and pastries. Sometimes people forget how the automobile promotes obesity. Lately I've been thinking its more of a coincidence that carbohydrates are associated with obesity. It just so happens that the majority of the bad, processed foods that people eat are high in carbs, but there are also foods like plain potatoes that are high in carbs but are satiating and don't promote obesity. I think it has more to do with micro-nutrients or lack thereof and other qualitifies of the food that affect overeating. And as someone who is very active, I also think that ultimately there is little one can do to overcome the leptin / set point battle in the long run. I could run 50 miles a week and still overeat and gain weight because my fat stores simply signal more hunger when I am more physically active. There is nothing I can do to stop this. I can hold out for a few month but the weight always starts coming back on once the body finds a way to adapt. Lately I've been thinking its more of a coincidence that carbohydrates are associated with obesity. Fat and carbohydrates appear to have a synergistic effect when it comes to food reward and promoting overeating. Most of the canonical high-reward foods (donuts, ice cream, potato chips, french fries, etc.) contain significant amounts of both. There may be a similar synergy between free glutamate and fat, which explains the other high-reward foods, like cheese and sausage. Carbs make you fat. Gary says. Interesting. There have been several studies exploring the link between energy intake and obesity but this is the first time I read about a "natural experiment". Re Melissa's comment, I wonder how much of it is reduction in physical activity and how much of it is increased access (now 24x7) to crap foods (fourth meal anyone?). BTW, I think you're missing an asterisk on your second footnote. It would be interesting to know other health outcomes in the population during those years. No doubt the energy balance shifted, with less obesity as result. However, you can become lean and unhealthy. I think the acellular carbohydrate hypothesis is a good theory, but wonder how it would behave on a calorie balanced population. Probably, lean people with autoimmune diseases due to high intestinal permeability and high LPS circulation. Stephan, Was the data broken out by gender? I participated in a similar "natural experiment" many years ago as part of a group of several hundred people who lived almost entirely on brown rice, vegetables, and whole grains with no access to other foods for several years. Our level of physical activity was high. What we experienced was that most of the men got thin on this diet, but the women got fat. We were also obsessed with food most of the time. That 2,300 calorie average intake level is high for normal sized women, but low for active men. Without breaking out the data to see how the diet affected subgroups, it's possible that the real impact is being missed. Another important issue would be the impact of the diet on growing children and fetuses in the womb. The one thing Gary Taubes is right about is that obesity is not a behaviorable problem and hence "move less, eat more" is not an effective enough solution to the problem. Managing energy balance is much different for someone who can eat a reasonable portioned meal and be satisfied til the next one vs. someone who is chronically hungry at all times. I'm hungry at all times and while I'm capable of avoiding the high calorie processed foods in favor of the healthier paleo-type foods, I can binge on literally anything these days. The only time I feel satiated is when my stomach is literally overfilled with food, but even then in 2 hours I'm ready to eat again. I'm not even obese either, but I totally empathisize what its like to have unlimited access to food and constant need to eat. Interesting point Jenny! Perhaps there is a gender difference, not yet fully explained, in how certain diet works. I don't think anyone anywhere is arguing that it's impossible to lose weight on a calorie restricted high carb diet, especially when combined with an increase in physical activity. I don't think this really tells us anything new. 1. "focused on refined carbohydrate and sugar (and monotonous)" Why do you think refined carbs and sugar are monotonous? You can make a lot of interesting foods with flour and sugar. 2. "Some of the harmful consequences of eating refined carbohydrate and sugar do not materialize when there is no calorie excess." This is analogous to the situation with fat. 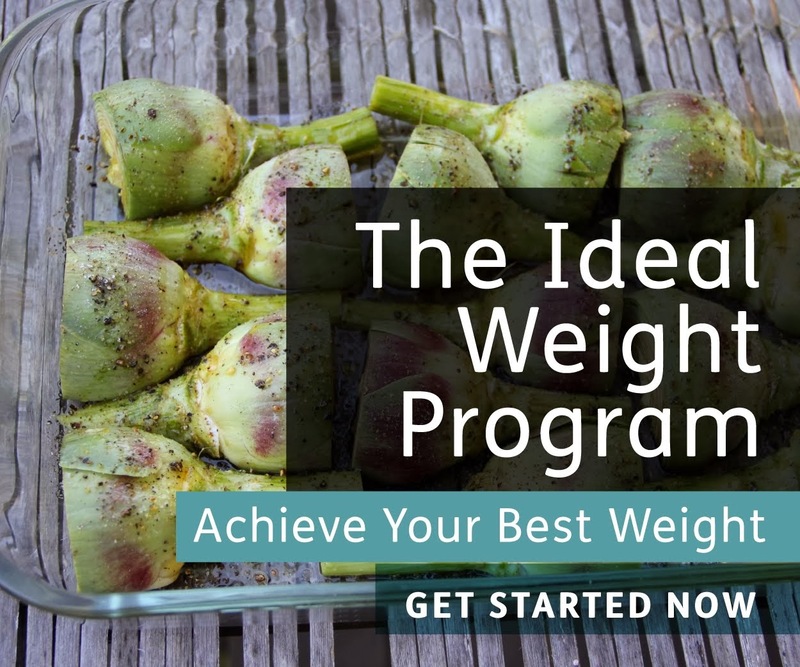 When you're in calorie deficit, you won't store dietary fat; you'll burn it for energy. So as long as you're in calorie deficit, insulin levels don't matter much. But this says nothing about how insulin levels will affect you when you're in calorie excess. I think Brandon Berg is correct and fat/carb combo foods. I think the central commonality between low-fat and law-carb diets (both of which have been proven effective, at least in the short term) is that both diets avoid these fat/carb combo foods. Maybe one strategy is to adopt a low carb diet on some days and low fat on others. This would avoid the problems often associated with long-term macronutrient restriction, while reducing food reward. Are there any whole foods that are both high sugar/starch and high fat? Can't think of any off hand. >> This is a great opportunity to see which factor is more important for obesity and chronic disease at the population level: refined carbohydrate/sugar, or calorie intake and exercise. I want to point out that this "natural experiment" is not actually testing this question. From the numbers you provided, the total availability of carbohydrates went down by 200 worth of calories not taking into account the additional carbohydrate calories expended in physical exercise. In spite of the diet being "heavily focused on refined carbohydrate and sugar," it nonetheless contained almost 160 fewer calories of carbohydrate, or about 40 grams less. I'm certainly not going to claim that this small decrease in carbs was solely responsible for the decrease in obesity, etc., but it does make it a little harder than you suggest above to tease out the contribution of the calorie deficit. Might be interesting to compare different segments of the population with regard to level of income. For example, what were the similarities and differences between the change in diet and health with regard to the top 20% as compared to the bottom 20%. From the "Wheat Belly" blog/book, Dr. Davis maintains that approximately 400 additional calories are consumed on average for the typical consumer of grain products in the SAD. So, just on the approach of elimination of these pervasive products/components in a majority of the menus out there, many people have experienced the reduction of calories with the improved weight-loss (not to mention well-known autoimmune function) from shunning grain-based food--in essence a large lowcarb/calorie advantage. "Also, foods made with refined carbohydrate and sugar promote overeating**, so they contribute to the energy excess that drives obesity and chronic disease." Well, not in this case obviously. But then, they weren't actually eating more carbs - thanks, Unknown. Did cubans smoke more to suppress hunger? Are alcohol calories included? Are there foods that are off the centralized state supply grid? It probably takes the addition of linoleic acid to a high-carb diet to make it fattening, for all but an unlucky few. I travel twice a year to Cuba because I take dancing lessons there (rumba) with the director of the National Folkloric Ballet. Now there is a second crisis in Cuba because the government has laid off workers and there are cuts in the coupons they receive. So there is even less food to go around. Children at school are given flour with warm water. Last January (when they had a cold spell) 27 psychiatric patients died because they were malnourished. It is true that people have to walk a lot (even though a Cuban taxi is only 10 cents) I used to walk 40 minutes to my professor’s home and back every day. However, what I have noticed over the last couple of years is an increase in men and women’s bellies: they are slim, but they all have a protruding belly! My point is: even though “energy intake and physical activity are dominant factors in obesity”, these observations don’t tell us enough about the overall health of the Cuban population. Stephan, please do more research on the Cuban situation if you want to be fair. The incidence of birth defects due to maternal malnutrition has increased exponentially. Tragically, there is a price to be paid for lower calories and more walking. When I was in Cuba, 1989, people were not permitted to use the area around their homes to grow food. The crops were behind barbed wire fences with signs prohibiting photography. Those crops were for export only. The people's main source of green vegetables was escarole. Then after the Soviet Union collapsed, there was a period of severe malnutrition compounded by a haemorrhagic dengue outbreak. That was in the mid 1990s. You need to read the article that came out last year in The Atlantic where an American journalist attempted to live on the food coupon system for 30 days. It was impossible. Not all food is reported though. People eat 'wild food' like turtles and langoustes. Usually they'd rather make money by selling barbecued langouste to the tourists. These days there is a lot of private enterprise going on in Cuba because really, since government jobs are being cut, people have to make a living somehow. Aside from and which: young Cuban women are prostituting themselves (shades of the olden days) and doing whatever they can to snag themselves a foreign husband. We need the bigger picture not just the 'natural experiment'. In addition, please check the shipments of frozen chicken (parts that Americans won't eat), rice and corn to Cuba. Inspite of trade embargoes, the United States is shipping food to Cuba and has been doing so since during the Bush administration. The information is not difficult to find. If I look at the diets of my childhood, there was a lot of energy from sugar, animal fat, and white flour. (There was some margarine but it was not considered palatable and anyone using it would use less than they would have used of butter). Obesity was very unusual. Most people were more active except - very young (pre school, up to 5YO) children were no more active than today. And there were lots of lazy people, those with deskbound jobs, housebound invalids, the institutionalised. These weren't especially prone to obesity (like they are today). (in fact, a very useful "natural experiment" would involve looking at diets and BMI of prisoners and mental patients, where exercise is completely optional if available, in the same populations but in different eras). It seemed like people who put on a little weight in the 1960s in the UK or NZ could lose it again fairly reliably if they wanted to. There were few "fat traps". "Fat and carbohydrates appear to have a synergistic effect when it comes to food reward and promoting overeating. Most of the canonical high-reward foods (donuts, ice cream, potato chips, french fries, etc.) contain significant amounts of both." I've always thought that a high-carb especially high-sugar and high-fat meal is not a good idea, regardless of the total calories for the day - sugar (glucose+fructose) and starch (glucose) promote insulin spike, which job is to 1) signal the fat cells to open up and intake the fat, and 2) to signal the fat cells not to release fat to be used for energy. I wonder how does that not promote fat storage regardless of the total daily calorie intake?! bringing addiction into it could help you understand or it could muddy the situation. Please read some of the articles on the page below before going down the "it's circular" route. Are you familiar with the new initiative launched by Taubes (www.nusi.org). Sounds like they are looking to conduct the controlled trials necessary to end the nutrition debate once and for all. The question I have is whether Taubes is willing to admit his hypothesis might be wrong after all the books and media attention he's gotten. It's not Taubes' hypothesis, but an inadequately tested hypothesis from the past that he's rescued from oblivion. And if he wasn't prepared to see it disproved, he wouldn't be involved with NuSI. This natural experiment shows that restricting calories and moving more reduces obesity. Not as advice to eat-less-move-more but as an absolute imposition, a milder version of the Auschwitz experiment. Also, there was no low-carb arm, just more or less calories on high-carb diets, so it tells us nothing about which is the better intervention, except that there seem to have been health consequences for the Cuban population that aren't part of the scare stories about the Atkins diet yet. Which hypothesis? Remember that at least temporarily shifted from glucose and/or starch to sugar and fructose as the major culprit. But regardless, I sincerely doubt it. IMHO inventing many specious arguments, massive amounts of cherry picking and frequently murdering and/or mutilating logic and the English language trying to justify a pet guess is NOT needed if one wants unbiased testing. I read the book. I don't remember if Atkins's position changed with the infomercial. Ok, so in this natural experiment the cuban citizens were eating LESS carbohydrate, not more, as has been pointed out. "This is a great opportunity to see which factor is more important for obesity and chronic disease at the population level: refined carbohydrate/sugar, or calorie intake and exercise. Make your guess!" Its not a great opportunity; all this example tells us is that calorie restriction is good for the health, which we already knew. I hope as a result of nutritional debates we will see the acceptance of LC diet as the standard of care for people who need it, and probably, the criteria will be determined who requires such diet approach. As a person who got considerable health benefits from a LC diet, I am upset to observe that such diet is denied to people in similar medical situation as I am and to others, who have different conditions that require carbs limitations, for what seems to me as inappropriate reasons. Such group is much wider than epileptic children and people in the initial stage of a weight loss. I would rather not starve myself for health benefits if my government fails to do it to me if I have other diet options to improve my health. Public health has been described as "the science and art of preventing disease, prolonging life and promoting health through the organized efforts and informed choices of society, organizations, public and private, communities and individuals. It is concerned with threats to the overall health of a community based on population health analysis. My wife spent 1 year abroad in Ecuador. During this time she had access to regional fare and the highly processed junk that gets called "food" in developing countries. The male volunteers lost weight, sometimes a significant amount, while the women gained, often a significant amount. The general belief amongst the volunteers was that men were used to more protein (thus calories) in America, while the women were continually eating junk because it was the only way to eventually reach adequate nutrition. Huh? Two moving variables which cannot be controlled for and admittedly problematic data and we can draw a firm conclusion that conveniently supports the known biases of the researcher? One marvels at the ability of Sanjeev to see the problems in the argumentation in everyone except his favorite Doc. You should check out the «Montignac». "You should check out the «Montignac»." No, that is a low glycemic index approach; different from what I had suggested. Thx Stephan, interesting. The notion that the amount of ingested calories is an important variable in the obesity problem is increasing. I do remember the scientist who improved his health by eating less calories on McDonalds Hamburgers and the guy who did the same on potatoes only. My personal problem is that I'm hungry 24/7 if I keep my weight stable at any diet sofar. Which for me is more irritating than toothache 24/7. My personal hope is that you (or some other clever scientist) will find a way to restore my autonomous food intake, after which I can revert to "Intuitive eating" once again. Paying no attention to what I put in my mouth and at the same time not being hungry and not increasing my body weight. My personal guess is that it will be a pill which interferes with the embedded software of the hypothalamus or it's setpoints or sensors. I don't put any money on macro nutrient composition. Short-Term Caloric Restriction Normalizes Hypothalamic Neuronal Responsiveness to Glucose Ingestion in Patients With Type 2 Diabetes. Am J Clin Nutr. 2012 Mar;95(3):609-13. Very-low-calorie diet: a quick therapeutic tool to improve β cell function in morbidly obese patients with type 2 diabetes. Obesity (Silver Spring). 2012 Aug;20(8):1572-6. Long-term beneficial effect of a 16-week very low calorie diet on pericardial fat in obese type 2 diabetes mellitus patients. This is very Interesting post.I just read this post carefully. There have been several studies exploring the link between energy intake and obesity but this is the first time I read about a "natural experiment". Hope you will provide many more articles about this topic in future. For me there still remain major question-marks over both the "more exercise = better health" theory and over the "less calories = better health" theory. # Was there a decline in imports of processed meat or other processed food, that was until about 1990 imported from the Soviet Union? # What about vegetable oils, the major source for overconsumption of Omega-6 fatty acids (Bill Lands comes to my mind)? # Or dairy and (pasteurized) milk comes to my mind. I am skeptical that one can find "simple" answers by looking at population wide data – there are simply too many variables in my view. And I remain doubtful to proponents of ill macro-nutrient (carb/fat/protein) ratios as cause of ill health. Grains, rice, white-potatoes and sweat-potatoes are not the same thing, when it comes to adverse health effects, IMHO. Though the Cuban natural experiment gives food for thought. And call me bias, but as to milk: I think dairy has (at least) two plausible pathways for adverse health effects. # Dairy contains hormones, which might directly interfere with the human endocrine system, even after passage through the digestive tract. # Dairy contains immunoglobulin that may cause interactions with the human immune system, even after passage through the digestive tract. Furthermore our knowledge on the changes of milk through pasteurization and homogenization, and what effects this has on the human health are a bit limited – I would suspect that this is an area we could learn something. Stephan, I like the post. I think we have a tendency to go crazy with diets and tend to throw the baby out with the bathwater when we see a new diet trend. It's good to remember that even though refined sugars and carbohydrates aren't great for health and weight loss, at the end of the day, exercise and calorie intake do matter. Incorrect: Wait for eating time, do not turn off your appetite. I'm sure you have heard this phrase often when you was little but lightweight and well-balanced calorie snacks fairly healthy. Snacks keeps blood sugar in balance, prevents excessive hungry. Staying too hungry, eating excessive may cause you to have more calories and can get tired your stomach. Ice Cream Correct: Eating 5-6 meals a day provides you spend more energy because each food you eat runs the entire digestive system and facilitate weight control. Snacks provides weight control and also relaxes the digestive system. 100-200 calorie choices are appropriate to snacks. Hazelnut, walnut, almond, fruit, raw vegetables, yogurt, milk are healthy choices. Do not stay hungry more than three hours. Incorrect: Finish the meal on your plate, do not waste it. Do you remember this sentence that your mother said every dinner? Were not allowed to get up off the table until you finish meal on your plate. Are you still eating in this way? If so, you do not listen to the 'Saturation' signals from your body. Correct: You do not have to be a member of the clean plate club. Primarily try to reach saturation with eating small amounts and chew your food well. If that's not enough you can add. Listen to the satiety signal from your body. Note that this issue, especially when eating in the restaurant. You do not have to finish an entire plate. If you have very large portions you can share half of it with a your friend or you can package it.